Jairo is joining us from Toluca, Mexico. He is anticipating to graduate in July with a degree in Philosophy. Jairo received the opportunity to come to D.C. thanks to a scholarship released by his State’s government in coalition with The Washington Center for Internships and Academic Seminars, which is a non-profit organization that provides seminars, services and opportunities through different partnerships for college and university students who are in pursuit of a career in their respective fields. This scholarship is intended precisely to learn from an internship in a non-profit organization, in order to gain understanding of the working environment in the U.S., get some professional experience and begin a career within the field of action that fits with your education. TWC has also a lot of activities for the interns. Every Friday Jairo takes a couple of classes: Public Policies in D.C. and Leadership and Self-Management. 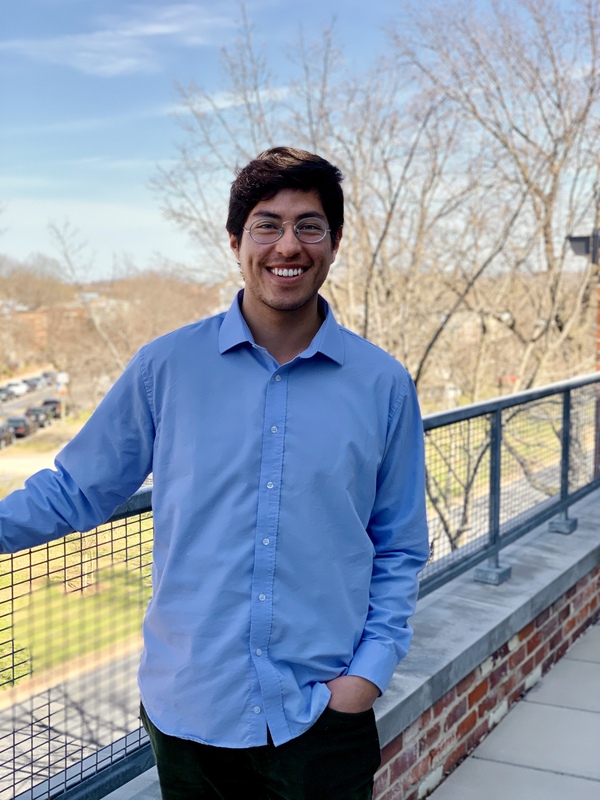 He gets to learn more about the political ground and its dynamics, not only here in D.C., but in the U.S. in general, develop and discover personal strengths, and take advantage of opportunities across the District. Currently, Jairo serves as an intern for our City Leaders Program. Jairo says, “Here, I’m learning a little bit more about the organizational structures, the development and enterprise of a non-profit, the educational services that can be provided in order to help youth, engaging them with their community, and what it takes to interact with children by getting involved in their learning process.” He supports with our project based learning students at our headquarters building and at Stuart Hobson Middle School. He has had the opportunity to build out numerous activities for programming in addition to support with planning for some special events. Jairo says he’s enjoyed getting to know the city and taking tours of the many museums and monuments in DC. We look forward to the rest of the time he has with us and we hope he is able to continue to grow and identify what his next steps are in his career.